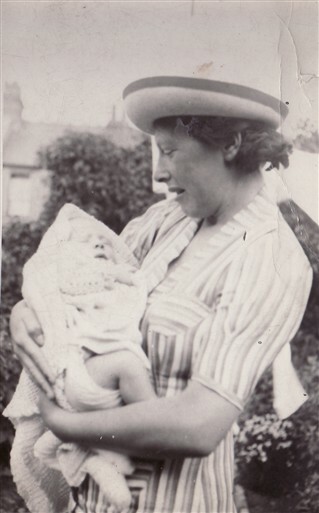 At the beginning of the war I was evacuated to Wales with my son who was only a baby. I hated it there, it was far too cold and I quickly returned to London to be with my husband. 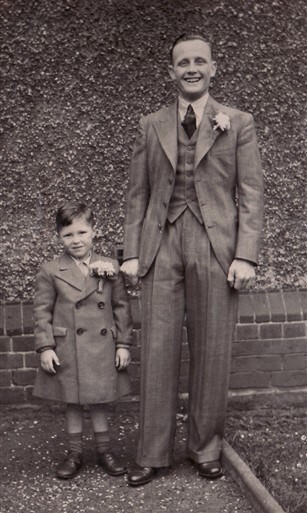 My husband Charles had a butcher's shop and I would have to work very hard looking after my son and helping in the shop. During the war you could get anything on the Black Market. Oh it was wonderful; furs, silk stockings, it was all there. With rationing and the Black Market going on you’d find yourself doing all sorts of deals with people that you wouldn’t normally do. At one time we had this customer that my husband would always give a bit of extra meat to, I can’t remember why but it must have been in exchange for something. Well, on this particular occasion a policeman who wasn’t in uniform happened to be standing right behind and saw what was going on, when it came to his turn he said: “I’ll have what that man just had and for the same price”. Well that did it, every week from then until rationing finished my husband would have to give the policeman an extra cut of meat! Once when we were living in Morden a bomb went off in our street, our whole house completely shook, I ran upstairs to where my son was sleeping and the whole roof had literally blown off. Luckily some metal mesh miraculously held the entire ceiling from falling on top of my son and I had just enough time to grab him and get out. When I came out of the front door I was horrified to see that the whole street had been flattened. So many of my neighbours died that day: we were very lucky but it was ever so sad. Florrie Webb speaks about life at 101 years old. This page was added by Camilla Bergman on 16/08/2010.